« Fill the Racks today! Discover Moscow by Bike this Saturday! May 5, 1:30pm, JANE’S BIKE RIDE, meet at Friendship Square Fountain. You may have heard about Jane’s Walk but have you heard about Jane’s Bike Ride? The Students for Placed-Based Planning and Urban Design (SPPUD) invite you to a special bike ride to learn more about the town you live in. 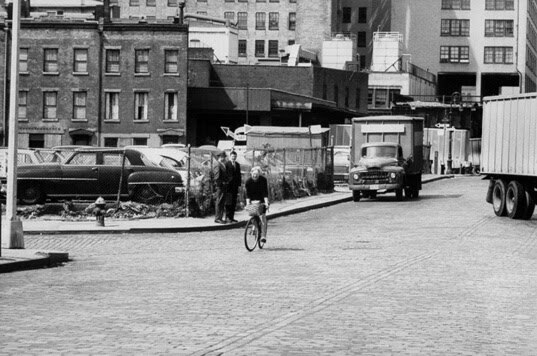 Jane Jacobs was an urbanist and activist who championed a fresh, community-based approach to city building and encouraged walkability of cities. To honor her ideas during Bike Month, SPPUD will be hosting a 90-minute bike tour that will take you to locations within Moscow that exhibit Jane Jacob’s design principles. It will highlight civic spaces, mixed-use development, cyclability, and other community design principles. It will also give you a chance to meet other community members and develop a deeper connection to your sense of place. Bring your friends and family for a unique tour of Moscow. Meet 1:30pm, Saturday, May 5th by the Friendship Square Fountain. Spread the word! For more information, contact Kyle Merslich at mers6840@vandals.uidaho.edu or 360.791.2179.